Facebook's global influence is now spreading to cars. Decide whether to laugh or cry. Check out all of these Facebook-inspired autos worthy of hitting the "Like" button over. In a few short years Facebook has gone from a place where college students from around the country could connect to a multibillion dollar company. The company&apos;s impact is felt across the world, including in the automotive industry. Car companies were quick to realize the potential of social networking, with some creating cars inspired by the success of their Facebook pages. If you&apos;re looking for a cars worthy of posting on your wall, then continue reading on. Porsche celebrated their one millionth Facebook fan in a big way with this special edition 911 GTR 3 Hybrid. The car features a 480hp 4.0-liter six-cylinder engine with two electric motors mounted onto the front axle creating 80hp each. This green racer has yet to see the harsh light of day as it resides permanently in the Porsche museum in Stuttgart, Germany. Volkswagen&apos;s Fanwagen is perhaps the most creative Facebook-inspired car ever created. The VW Fanwagen is covered in tributes to Facebook, with a live feed showing the latest posts from the driver&apos;s feed mounted in the dash and a door handle inscribed with "Add friends." Other features include a license plate that shows the driver&apos;s relationship status and the horn replaced by a "Poke" button. 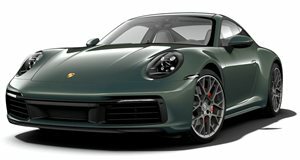 If you thought Porsche did it big when they hit one million Facebook friends, then you clearly didn&apos;t see what they did when they hit two million. The Facebook Cayman R may look like it&apos;s wrapped in bacon, but the car is actually covered in photos; two million photographs of all of Porsche&apos;s Facebook fans to be exact. This car isn&apos;t exactly a celebration or a tribute of anything, but it&apos;s still awesome nonetheless. Words can&apos;t accurately describe its greatness, so I&apos;ll just let you gaze upon its 24 new messages and let you choose the proper adjectives for yourself.